Today's visit to Hope Zoo was special as I heard the male ostrich roar. The zookeeper said that they sound like lions, and Mr Ostrich certainly did! Work continues at an amazing speed at Hope Zoo. Masons and gardeners seem to be working to deadline. 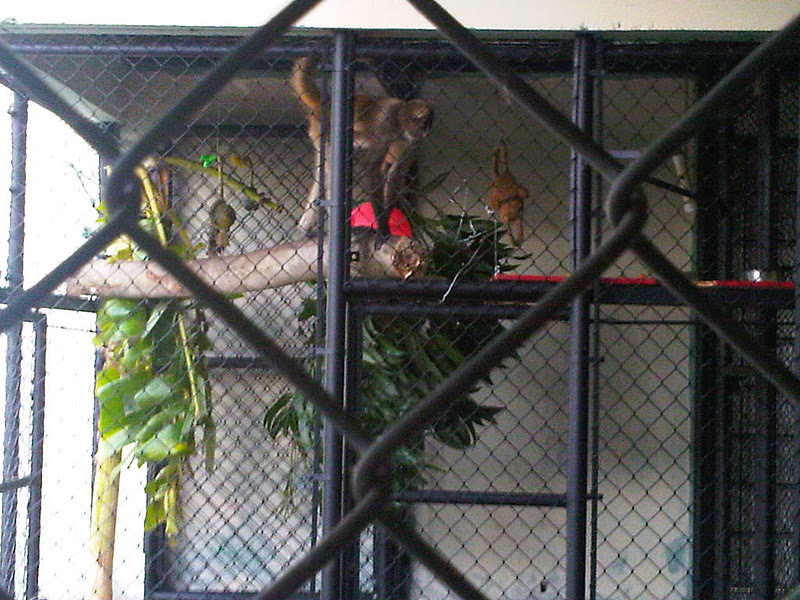 Individual enclosures in the snake house are being renovated. 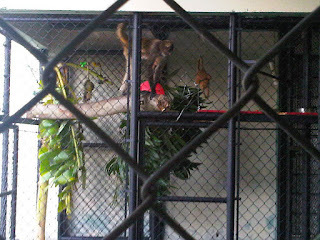 The central what I call "jungle house" has been cleared and a monkey is awaiting full release in there. Additional individual cages are being occupied by parrots and macaws with a lot of character. They act out and speak back to you. 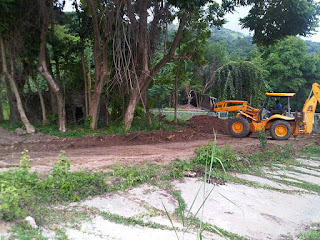 A back hoe is moving earth on monkey island and the long disused monkey wheel has been removed, perhaps for repairs. 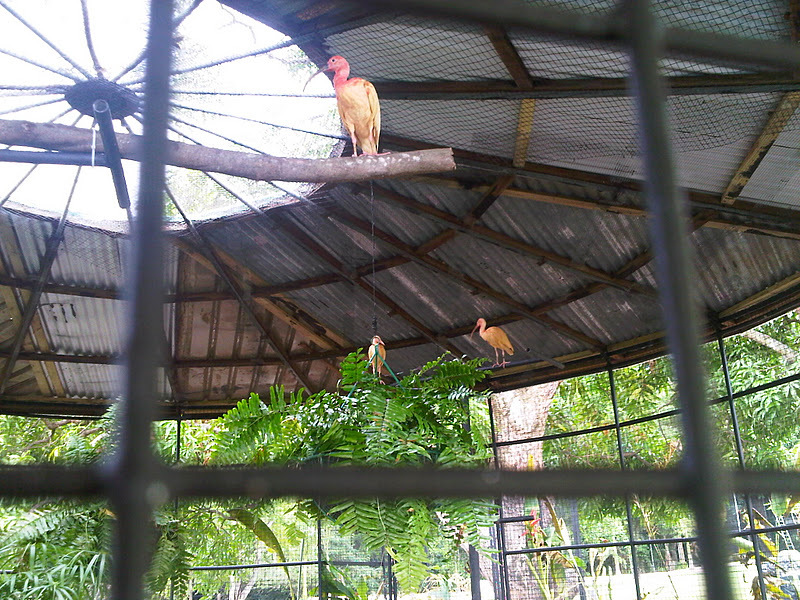 Three Scarlet Ibis birds are in a renovated enclosure and I understand will be on a diet that will brighten their plumage.